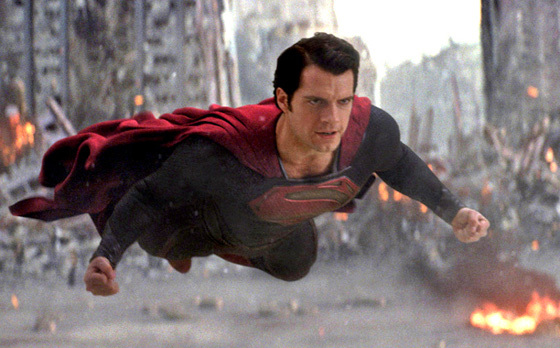 My kids are taking me to see Man of Steel today, an early Father's Day present. 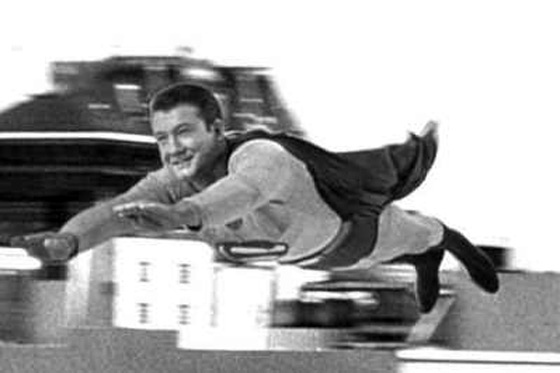 I'm really looking forward to seeing it; I've been a fan of Superman since, oh, 1957, once I was old enough to focus my eyes on the blurry black-and-white image of George Reeves in his foam-padded shoulders. Here's hoping they pulled it off. Lois Lane: I like your new glasses. 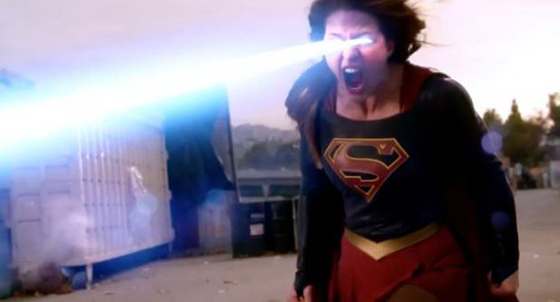 Lois Lane: Did you ever think of getting contacts? It was the last day of school- May 31, 1963. My parents decided to take me on a short weekend vacation trip to Niagara Falls to celebrate my completing third grade. We stopped at the J&I Dairy on 13th and McClure in Homestead to pick up some last minute items. At the front of the store was a comic book display. I was three months shy of my ninth birthday, yet somehow had managed to miss the fact that my favorite- make that only- superhero, Superman, actually had a comic book. In fact, he had an entire series of comic books in which he appeared. My experience to this point with the Man of Steel was the endlessly rerun Adventures of Superman, which I watched daily on a snowy WTOV Channel 9 Steubenville. Naturally, I was drawn to the book. My parents bought it for me, along with some other Superman titles, to keep me quiet on the trip. I'm not exaggerating when I say that comic book changed my life. It was the middle of the "Silver Age" of comics, and after Superman, I discovered Green Lantern, The Flash, The Manhunter from Mars, and rest of The Justice League of America. My comics reading habit opened a world of literature. I discovered that Superman wasn't the first hero with a dual identity, after learning (in the comics' letters from readers section) that a Hungarian baroness, Emma Orczy, had first introduced the concept in The Scarlet Pimpernel. an idea later borrowed by Johnston McCulley's Zorro. You know how when you read an article on a web site that has a link, which you follow to another link, then ten others, until it's eight hours later and you haven't found what you were originally looking for but instead discovered dozens of other even more interesting topics and facts? Superman comics were like that for me, only instead of surfing the web, I roamed the stacks of the Carnegie Library of Homestead. 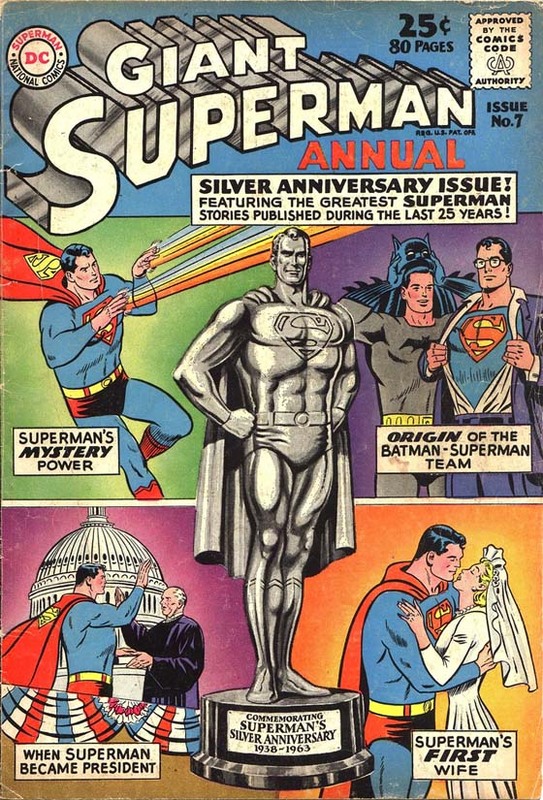 I mention all this because today in the birthday of Curt Swan (February 17, 1920 – June 17, 1996), the man whose cover art for Giant Superman Annual #7 drew me like a moth to a flame. 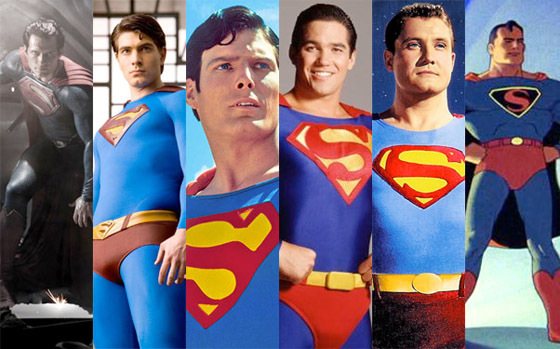 Referred to by some as "The Norman Rockwell of comics," Swan's influence is perhaps most apparent in the original Superman film series, where Christopher Reeve appears to be a real life version of Swan's artistic interpretation. Categories: Observations, Science, Superman, Technology, WTF? Neil deGrasse Tyson has found Superman's homeworld, Krypton. 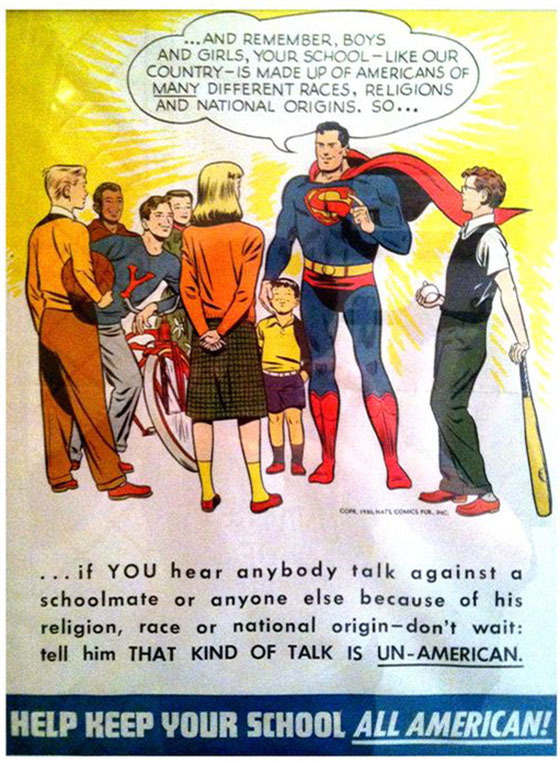 In "Action Comics #900," Superman will renounce his American citizenship, rejecting the international notion that his actions are part of US policy. The shift comes after a personal visit to Iran in support of protestors leads President Ahmadinejad to believe America was declaring war against the government in Tehran. 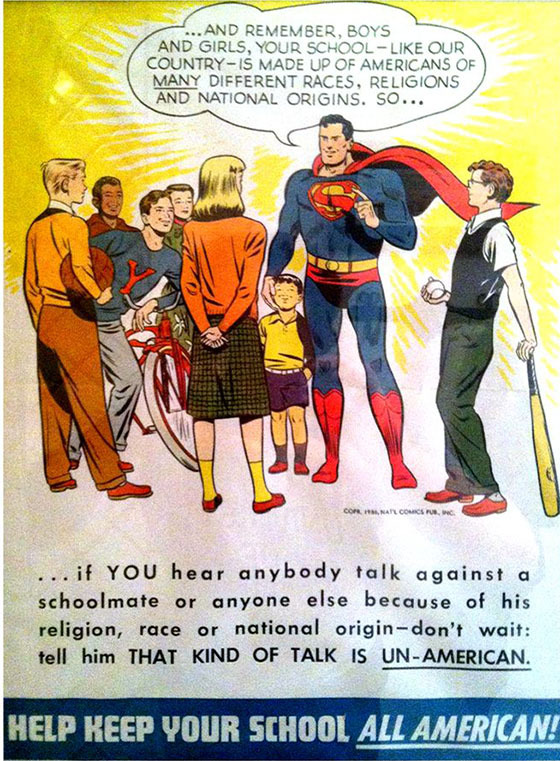 By rejecting his citizenship, Superman will now work on a grander international scale, because, as he says, "truth, justice and the American way... it's not enough anymore."